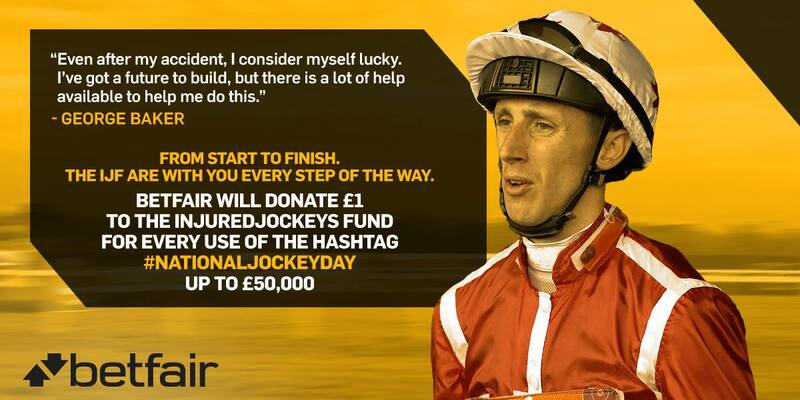 Betfair launched the initiative in 2014 to celebrate the hardwork and dedication of jockeys whilst also highlighting the support that the Injured Jockeys Fund give them every step of the way; from the very early days in their training to become a jockey right up to their retirement. 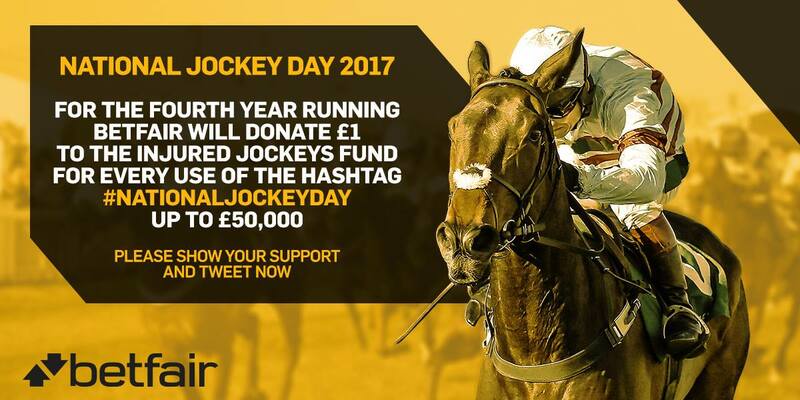 So Betfair will once again be donating £1 to the IJF for every use of the hashtag #NationalJockeyDay over the next two days. So if you’re a #tweeter please get #involved over the #weekend and help us raise money for an amazing charity.